Have you heard the phrase ‘all-cause mortality’? What is all-cause mortality and in what context is it used? Simply put, it is about the likelihood of dying from anything, any disease, accident, act of violence, anything. 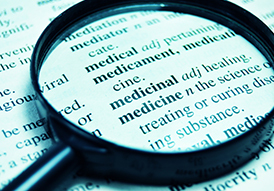 But with respect to medical terms, it means mortality from any disease, infection or medical condition. 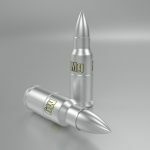 There simply is no ‘silver bullet’ which will protect you from all- cause mortality… but there is something that comes close. acute myocardial infarction (AMI) otherwise known as a heart attack. Ischemic stroke which is similar to a heart attack, the difference being it affects the blood vessels of the brain instead of the heart. Atherosclerosis is another major killer and is the precurser to AMI and stroke. It is a disease of the arteries where plaque, made up of calcium, fat, cholesterol, fibrin and other substances, hardens and causes blockages. Inflammation, now generally regarded as being the start of many of the diseases we contract. Hypertension or high blood pressure, sometimes known as the silent killer and is another precurser to the conditions above. Diabetes type II where the cells are resistant to insulin so glucose is unable to enter the cell membrane. Cancer It is estimated that one in two men and one in three women will develop cancer sometime in their lives; a horrendous forecast. Osteoporosis a condition that weakens bones, making them fragile and more likely to break. Asthma a respiratory condition causing difficulty in breathing because of attacks or spasms in the bronchi of the lungs. Migraines characterized by recurrent headaches that can be severe enough to disable the sufferer. Convulsive disorders such as epilepsy and narcolepsy. Alzheimer’s progressive mental deterioration, mostly occuring in the older generation, due to a degeneration of the brain. 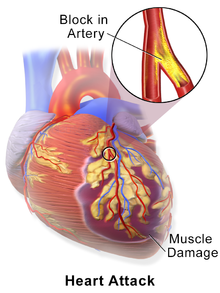 Angina caused by severe muscle spasms in heart muscles. Adrenal Fatigue caused by chronic stress, anxiety and panic attacks. Fibromyalgia or fibrositis has an array of symptoms, all unpleasant with the incidence of this condition is rapidly rising. Kidney Stones most of which are calcium stones, usually in the form of calcium oxalate. Depression a mood disorder characterized by feelings of despair, dejection, melancholy and sadness. Insomnia which presents as a habitual inability to sleep. Mitral Valve Prolapse an abnormally thickened mitral valve leaflet which prevents efficient opening and closing into the left atrium of the heart. 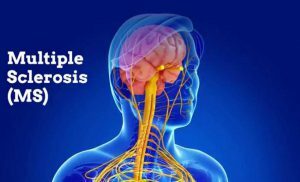 Neurological disorders is any disorder of the nervous system such as Parkinson’s Disease and Multiple Sclerosis. All the above diseases and conditions (and there are many more too numerous to mention) are caused and/or exacerbated by the lack of one single vital nutrient mineral. Some eminent doctors recognise the importance of this element, but the majority of the medical profession ignore its existance. They will not recommend supplementing with it and would prefer to prescribe a drug. What’s more, the majority of medical professionals do not recommend this nutrient to their patients. This despite its proven protective capabilities, to avoid the onset of dangerous diseases in later life. This is a silver bullet that is being ignored by many, but thankfully not by all of the medical community. Some of our medical doctors who are or have been practicing allopathic medicine have turned to naturopathic treatments. They advocate treating with natural vitamins and minerals in preference to pharmaceutical drugs. As long as they know that the natural treatment is more remedial. They use drugs as a last resort and not in preference to a natural solution. All the above conditions and diseases have been exacerbated or caused by a mineral deficiency. That mineral is Magnesium (Mg). Stress is the biggest depleter of Mg and unfortunately, we are all under all kinds of stress. There is also a medical myth that many people, particularly women, are deficient in Ca. This is believed by many doctors and medical practioners alike. Consequently the public consume Ca supplements to excess. They wrongly think that the more they consume the better. In fact, they are seriously damaging their health with a toxic overload of this vital, but overly consumed mineral. A group of 1,170 women who had breast cancer were followed after diagnosis for a term of just over 7 years. It was found that their magnesium levels were associated with their all course mortality. This means the higher intake of magnesium the lower risk of death from all causes. What’s more, the researchers found that higher levels of magnesium in the body may significantly improve survival following breast cancer. Interestingly, they also found that the Ca:Mg ration was very important. 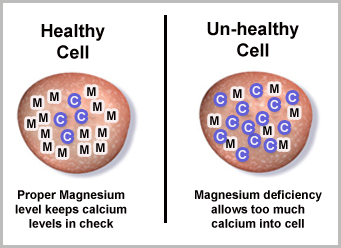 The more calcium compared to magnesium, the worse your chances of survival. Have a look at this short video of an interview with Dr Thomas Levy about the dangers of high Ca levels compared to Mg. It’s only 2 minutes long but full of information that you need to know for your future good health! Here is another similar study on the amazing outcome of taking Mg. A study done back in 2003, aimed at analysing the long term survival and cardiac function of 194 AMI patients using Mg. 96 patients received a 48 hour intravenous Mg sulphate of 22g with the other group of 98 having a placebo. After a follow up of nearly 5 years, all cause mortality and cardiac mortality were significantly lower in the Mg group compared to the placebo group. There was absolutely no doubt that the group having just that one 22g infusion of Mg had a reduced all cause mortality. Think of the benefits of having a Mg supplement on a daily basis not just over 48 hours! Another study in 2011 found a reduction in all-cause mortality after a period of 10.1 years. Those who were Mg deficient had 10.95 deaths per 1000 person years. Those taking Mg supplement had 1.45 deaths per 1000 person years. Specifically for cardiovascular disease, those who were Mg deficient had 3.44 deaths per 1000 person years and those replete in Mg had 1.53 deaths per 1000 person years. Mg and Ca are in a constant dance and should be taken into the body in equal measures. A ratio of 1:1 is the target for the best balance. Our diet and all the junk food, sugary cakes and biscuits and sodas, is nearly always low in Mg. In turn, this gives the body a toxic overload of Ca by default. Mg resides in our cells whereas Ca should reside outside of our cells. Without the control of Mg, Ca floods our cells and unless ushered out in double quick time by Mg, the cell will start to die. Stress comes in all forms such as emotional stress, like relationships, financial worries, work related issues, food related stress like junk food and sugary drinks devoid of nutrition, environmental stress like exposure to toxins and pharmaceutical drugs. The body has to deal with all of these stressors and to cope, it uses up massive amounts of Mg. You can include physical stress like exercise and working out too. A disease or condition puts the body under constant Mg depleting stress on a daily basis. Most medical practioners see the main electrolytes as potassion (K), sodium (Na), calcium (Ca), and Chloride (Cl). For some strange reason which eludes me, they forget the most important mineral, the one that controls the others, magnesium (Mg). Mg works hard to regulate Ca by activating hormones that control the levels and placement of Ca within the body. Inadequate Mg means that Ca runs amok and starts migrating around the body and into the soft tissue and vascular system. Excessive Ca can damage your sympathetic nervous system (SNS) which controls your unconscious functioning and reflexes. The SNS is responsible for initiating the ‘fight-flight’ response and triggers the inflammatory process. Without Mg, Ca will overstimulate your SNS and set in motion an inflammatory cascade which again increases already high levels of stress hormones. This creates more stress contributing to more Mg depletion which produces a vicious circle of Mg deficiency. Our energy is produced in the mitrochondria, tiny organelles found in our cells. Muscle cells have an abundance of mitrochondria because of the work they have to do. Without Mg, the heart cannot make the energy it needs to function properly. Adenosine Triphosphate (ATP) is the energy currency of our body and enables the body’s fundamental metabolic processes. But before ATP can be activated it needs to be bound to a Mg ion, forming a new compound known as Mg-ATP enabling the energy to then be used by the cells. Because the heart works harder than any other organ in the body, it needs copious amounts of Mg-ATP. If Mg is depleted, the heart muscle cells cannot work efficiently and the ability to pump blood around the vascular system will be impaired. The heart muscle cells will slowly begin to deteriorate, starve and die. The human heart cycles around 6kgs of Mg-ATP per day!! For the whole body, the amount is 70kg per day! This is according to the reknowned Professor Sir Martyn Poliakoff of Nottingham University in the UK. 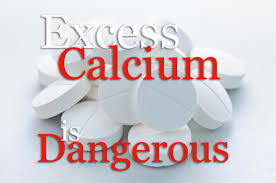 Calcium is a double edged sword! When we die, our cells are flooded with Ca which starts the death throws of our body, heralding the start of rigor mortis. If Ca is allowed to stay in the cell, it will kill it. Ca is a vital mineral but it needs to be in the right place, mainly in the bones. Our bodies contain around 1kg of Ca with 99% of it stored in the bone tissue. The remaining 1% circulates in the blood and other fluids. So here we have it. Various stressors including excess Ca help cause a Mg deficiency. The Mg deficiency causes an electrolyte imbalance and loss of energy. This in turn causes a malfunction in the cardiovascular system (as well as other parts of the body). As a result, the heart cells start to die and the arteries become damaged. Inflammation sets in with plaque and Ca deposits building up in the heart and arteries. Heart disease ensues in forms of atherosclerosis, cardiac arrest, hypertension, stroke, heart attack etc..
Mg is the nearest thing you will get to a silver bullet. 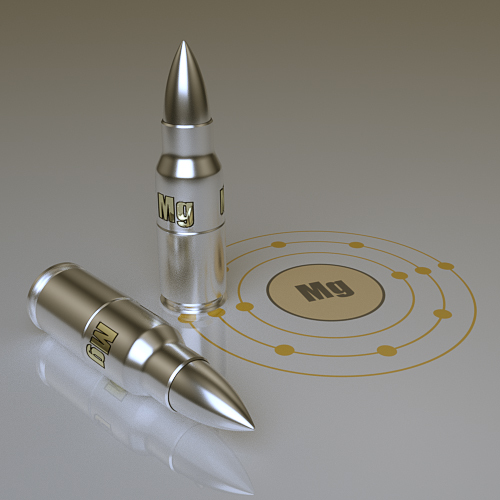 Being replete in this vital mineral will protect you from numerous diseases and conditions so get your silver bullet now and supplement with a good quality Mg supplement. Those I recommend can be found on the right hand side bar of this site. Have you had a CCS? 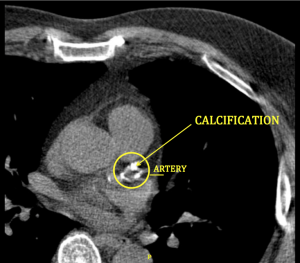 If you’ve had a coronary calcium scan (CCS) and it shows you have Ca buildup in your arteries, you can take a Mg supplement along with vitamin K2 MK-7 (menaquinone 7). See my article for the lowdown on this vitamin which actually aids Mg to usher Ca back into the bones by activating MGP (matrix gla protein) found in the vascular system. What is all cause-mortality and in what context is it used? 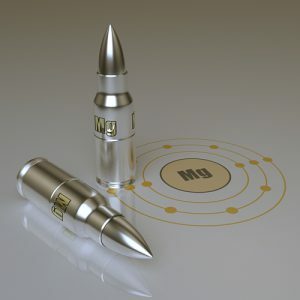 Is there a 'silver bullet' which will protect you from all-cause mortality from any disease? I had not heard this term before, All-Cause Mortality, it sure sounded foreboding. Your post is really informative and also unsettling. I have picked out a couple of things you talk about on which I can say something. Atherosclerosis is a very common ailment. I luckily do not suffer from this but I think that is due to eating quite close to nature. If people would only realize that actually nature provides for all our needs. The juice of Pomegranate is excellent in cleaning arteries and so is garlic to just name a few. Inflammation is one of those modern things we hear about, mainly due to eating processed foods. After I had my stupid total hysterectomy surgery in 2008 I fell in a dark and deep hole. From one moment to the other your hormones go missing, it is quite awfull. Luckily I found a anti-aging doctor who got me back on track. I had a Adrenal burn out. My Cortisol was sky high and the rest was nearly non excisting. I looked at the video on Calcium and Magnesium and am happy to remember that this doctor gave me various infusions in the past, one being Magnesium. I will continue to take good care of my health and hope to reach 90 in a decent shape. Thanks for your helpful comments Taetske. The problem with atherosclerosis, it is often something people suffer from without realizing it. Then suddenly they have an event and can’t understand why they never had any symptoms. The body is a wonderful piece of biology and it does its best to keep going for as long as possible even when it has to work under stress with a lack of certain nutrients, mineral imbalances and toxic overloads. Usually a condition or disease has progressed to quite an extent before the body succumbs and something has to give. You obviously are doing your utmost to eat healthily and do all you can to have a good life right into your golden years. I’m trying to do the same and when I learn something from my research, I put it in this blog so hopefully others can benefit. As for magnesium (Mg), when my Mum died a few years back, I decided to work out what went wrong with her. I now know from my research and her symptoms, she actually had a serious Mg deficiency which contributed to her death. Was it Dr Levy that actually treated you? I am sure you will reach 90 in good shape, in fact I’d go so far as saying you could get to 100! Thank you for your reply. No, it was not Dr. Levy who treated me. As I live in the south of Spain I was lucky to find a doctor in Marbella some 75 km away from where I live. His name is Jean Garant Mendoza. He travels a lot to the U.S. where he assists at workshops, congresses etc. so I get the impression he is up to date. When I was in the hospital recovering from my surgery I happened to see the Larry King show on tv. In this program, he was interviewing Suzanne Somers who presented her new book ” Breakthrough”, eight steps to wellness, life-altering secrets from today’s cutting-edge- doctors. This book talks about nanotechnology, stem cells, bio-identical hormone replacement. As I knew nothing about these things I ordered the book and I can tell you it was an eyeopener. It made me go to an anti-aging doctor and that has been my salvation. In the time before getting a computer, end of 2013, I also used to read a lot. This love for books my Mother instilled in me when I was small. Discover something to then use this information in your life, it was then well worth reading this book. In 1986 I stopped working to then really start working hard on my farm. I have gone, I call it, through my personal food evolution and think that by now I have found a good balance. I used to live in Spain until my late husband died suddenly. Another loved one who succumbed to a serious magnesium deficiency. We lived in a village called Valor, close to the town of Ugijar in Granada. We were actually in the Parque Nacional. We had no water or power so used the acequia for our water supply and had 12 solar panels for our electricity plus 2 hot water panels. Really living off the grid. I have heard of Dr Mendoza, he has a couple of videos online which I have seen, one in Spanish. Although I lived in Spain for 6 years, my Spanish was always a bit iffy! Have you seen “The Truth about Cancer – A Global Quest” video series? It’s well worth a watch and it’s free when it’s aired, usually at least twice a year. The last airing has just finished. If you like I can send you a copy of these videos to your email address. You could then pass it on to your friends and family. It is full of information about treating cancer naturally and living the healthy life. Ty and Charlene Bollinger are a husband and wife team who have taken on this quest to find the answers to health questions such as cancer. They speak to many experts and many that have been cured from cancer, including pancreatic! They are working on a video series of Eastern medicine which should be aired next spring. What I like is that it is free to watch during the airing so everyone and anyone can see it no matter where they are in the world. I took the opportunity of buying the videos as well. We are encouraged to give the videos to as many people as we can so those with cancer have hope and a possible cure. Their inspiration to start this quest was losing 7 of their close family to cancer. My research into stem cell technology led me to try and persuade one of my relatives to go for treatment for his bad knee. Why are so many people so stubborn about learning new technologies that have no side effects and have been proven to work? He is able to afford the treatment but I think he is dismissing it at quackery. When will this love affair with allopathic medicine end! Whereabouts in Spain are you? Let me know if you wish me to send the video set. Thank you for your reply of 26th Oct. Very sorry to hear about your husband. I do not know your ex-village Valor but I know the area a little bit. I live between Malaga airport and Torremolinos. The road that goes inland over Churiana, Alhaurin de la Torre, my village, to Alhaurin el Grande, and Coin. I live 1 1/2 km from the village center. My Finca is inside a big Finca called El Alamillo. You can Google it as they have weddings and celebrations in the garden so they have a website. When I got a computer by the end of 2013 I only used it for letters/photos and following workshops/Summits of my interest. I started with Ocean Robbins, then came Ty Bollinger, Stem Cells, CBD, Alzheimer’s etc. Now I am getting newsletters from many doctors and the Shift plus the Sacred Science, EWG, you name it, sometimes it is getting too much and I cannot follow it all. That is very kind of you to offer the Truth about Cancer video set but Michael bought it after we followed it. I firmly believe we do not need radiation and neither chemotherapy. Most people will only follow what their doctors suggest and do not try to investigate for themselves. That is why there is so much suffering in our world “blessed” with modern medicine. I do not say it is all bad but the mentality to give a pill to combat a symptom is wrong in my eyes. In old China, one paid the doctor as long as one stayed healthy. Hi there Taetske and thanks for your condolences. Brian died in 2006 and sometimes it seems like yesterday. Valor and Ugijar are towards El Ejido which we called ‘plastic land’. I know whereabout you are, we’ve had a holiday quite near to that location. When Brian died, I came back to the UK. I had a horrendous time selling the casa because of Spanish laws of inheritance. But because we had mirror wills done in the UK before we lived in Spain, the Spanish authorities had to honour those wills. Trouble was, the Spanish authorities in Valor didn’t have a clue about their own laws. I had to get an English speaking lawyer to enforce them, which they reluctantly had to do in the end. Took a long time though. Those who live in Spain should be aware! It would appear that you are on the same wavelength as us regarding all the information out there. It certainly is information overload for me and I have a hard time assimilating it sometimes. I did some research on the history of allopathic medicine and it was quite shocking, so I did a post on it, Sick, Sad World. The more you dig the worse it gets. Even so, it has caused us to change our lifestyle for the better. We grow as much of our own food as possible and just installed a large polytunnel in our ‘landscaped’ garden. Looks a bit strange but it is certainly making a difference to our health. We consider ourselves lucky that we do not have any health problems as far as we know (touch wood). But trying to convince family members about the downside of taking allopathic medicine is really hard work. I get quite upset. All we can do is try and spread the information to others and hope they take it onboard. Sounds like old China had a good plan! What a well written and gripping article – once I started reading I just had to get through to the end, so much new and interesting information here. I try my best to regularly take magnesium supplements due to arrhythmia, but to be brutally honest with you – it is hard to find a cheap version of it anywhere these days (and I frequently run out). If I was looking to take magnesium the natural way – what foods should I be looking at? Hi again Chris and thanks for your input again. 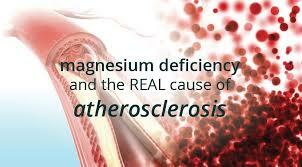 Arrhythmia is a prime symptoms for a magnesium deficiency, as you obviously know already. Unfortunately, good quality supplements are always more expensive. Mg oxide, for instance, is dirt cheap because it is not bio-available, at most just 4%. It’s good for constipation though! You can make your own good quality Mg Chloride and it’s easy to do. This is similar to Dr Dean’s ReMag. I am scared of all these illnesses. I believe if we take care of ourselves and walk through a healthy lifestyle, we can reduced the chances to get all these illness. Some illness is sadly inherited. It is still good to stay healthy. Eat good and sleep well. Don’t forget to exercise. Hi Kit and you’re right about a healthy lifestyle. The majority of our ills come from environmental toxins, toxins in our food which constitutes junk food IMHO. Sodas and sugar are prime causes for deteriorating health. Although a minority of diseases are inherited, it is now known that epigenetics can actually change your gene expression. In other words, doing everything you can to eat healthily, exercise regularly, keep stress under control, release your mental hangups, get good quality sleep. All these will give your body all it needs to stay healthy and thrive. Oh wow, very informative. I could not stop reading this article. The information provided is so helpful. I had no idea the affected of mg on the body. I don’t remember seeing an area that explains how we or where we get mg. Is it in certain natural foods or do we need a supplement? I would love to have seen a link to a product you recommend so I can buy a bottle of the mg. Fantastic article that included engaging pictures and video. Hi Jeffrey and thanks for your input. Here is a link Foods With High Magnesium for those foods that have higher Mg. But these will likely not be enough because Mg has been massively depleted since big Agra has sucked all the goodness out of our soils. Mg is a vital mineral that is one of the worst affected nutrients. As for a good quality supplement, Dr Carolyn Dean produces one of the best IMHO. It’s difficult to get here in the UK without being excessively expensive but easily obtainable in the US and Canada. It’s called ReMag, a Mg Chloride salt. Certain Mg supplements should be avoided such as Mg Oxide because of their low bioavailability. Mg Chloride is 100% bioavailable. Thanks for this very enlightening article on Magnesium. I think I should get a supplement. So, how much of this are we supposed to have on a daily basis? Can a good vitamin and mineral tablet supply it or should we be using a supplement of magnesium? I am already using calcium so I should probably get on magnesium. Very well researched article! I’m very happy I took the time to read this. I have always heard that magnesium is very important for brain health but I had no idea it was as important as what this article describes. I actually started a magnesium regiment a couple years ago but I stopped when my bottle ran out. This article has motivated me to start it again and this time I’ll stick with it. Thank you for the info. Thank you, Chez, for this informative and helpful article. I believe that magnesium is an important element that we should have in our body because it’s good for the overall functioning of our bodily systems. Does taking magnesium rich foods not enough to compensate for the daily magnesium intake that we need in our body? What is the best food that is rich in magnesium? Hi Ches! Very informative article. I have also used magnesium for years to basically prophylactical treat headaches, and I really had the feeling that it helped a lot. One thing I never really got my head around: Is there, by the way, any chance “overdose” Magnesium? No way can you overdose on magnesium. The only time you shouldn’t take it is if you have a blockage in the intestines, kidney failure or very low heart rate. By the way, my heart rate is 56bpm and I take 600mg per day. It is a natural nutrient mineral and if you did happen to take too much at once, you will just get diarrhoea. This is magnesium’s fail-safe. When taking a Mg supplement, choose the best one to suit your digestion. If you have a tendency towards diarrhoea then choose magnesium chloride or a topical magnesium like ancient minerals. If you have a tendency towards constipation, choose magnesium citrate powder which can be adjusted easily to suit your digestion. Always take it in multiple doses, not all at once. I take my daily dose (magnesium chloride solution) in a litre of water which I drink thoughout the day. Ignore magnesium at your peril. Our modern diet is depleted in this vital mineral so to get enough of it you need to supplement daily. See Best Magnesium Supplements To Take. I found your article very informative. I do and have had some of the problems listed. I agree that Mg supplements may be a good thing, but would it not be also a good idea to list some of the foods that are rich in Mg. Also since you stated that stress is a big reason that Mg is depleted wouldn’t a practice of stress relief techniques along with the Mg help in the balance of the body? now THIS is an interesting site! Great info, images, and useful information at that. I have bookmarked your site and will return because there are lots of posts which I find interesting but I can’t read all at once. This is also a site I will be sending others to. All the best and thanks for providing this information.